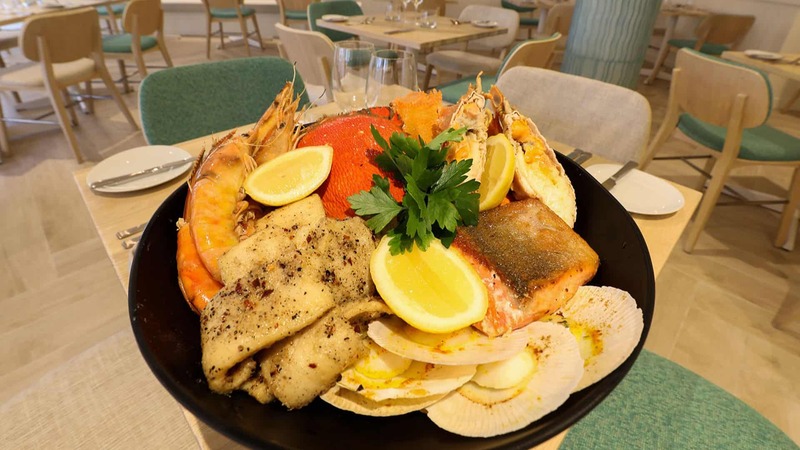 Nothing says summer like a platter of fresh seafood to share, and Harbour Fresh at Twin Towns is now serving them up for lunchtime diners. The Harbour Fresh ‘Seafood for Two’ features a decadent array of fresh, locally-sourced prawns, oysters and shellfish, served with condiments – perfect to share in relaxed surrounds that complement the coastal vibe and views to Coolangatta beach. Head to Harbour Fresh for lunch and enjoy favourites including crispy alebattered barramundi and fries, Oscar prawns, garlic prawns, whole sole and crab ravioli. If you’re craving a simple plate of creamy fresh oysters, topped off with a glass of cold sav blanc, Harbour Fresh has your lunchtime seafood whim covered. If seafood’s not your kettle of fish, there’s chicken Kiev, lamb shanks and salads as well. If you haven’t dined at Harbour Fresh, book ahead (by midday that day) for dinner on a Wednesday or Thursday evening and choose an entree, main and side dish from a sophisticated set menu for $40 per person. Entrées include mussels with chorizo, tomato, garlic and white wine, salt and pepper squid with lime and caper aioli and spiced and smoked pork belly with cherry jam, crackling and butternut. Mains include barramundi or fishmonger’s fillet of the day, panseared, crumbed or battered and Rangers Valley 250g rump. Choose from a range of sides to complement your main. An extensive wine list is available at Harbour Fresh, along with a huge selection of local and imported ales. Lunch from Tuesday to Saturday 11.30am to 2pm Qld and dinner Wednesday to Saturday from 5.30pm to 9pm Qld. Redeem your Dining Deals vouchers at Harbour Fresh for lunch or dinner!